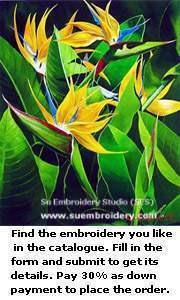 Silk embroideries listed in this section are the ones we can make for you after your order. 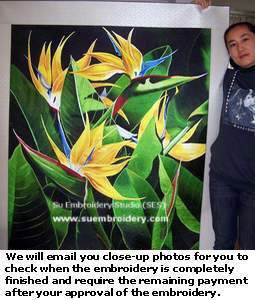 If you would like to purchase a ready-made silk embroidery that can be delivered immediately, please go to E-shop. 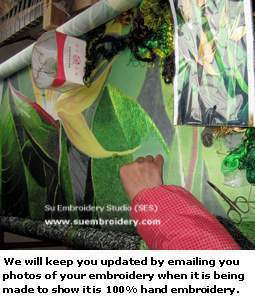 Besides the 5,000+ pictures we display here, we can also reproduce any of your pictures into silk embroideries. If you do not find an embroidery picture you like, please send us your own picture for a free price quote at Custom Embroidery.